Colossal head of Athena Promachos. Marble. 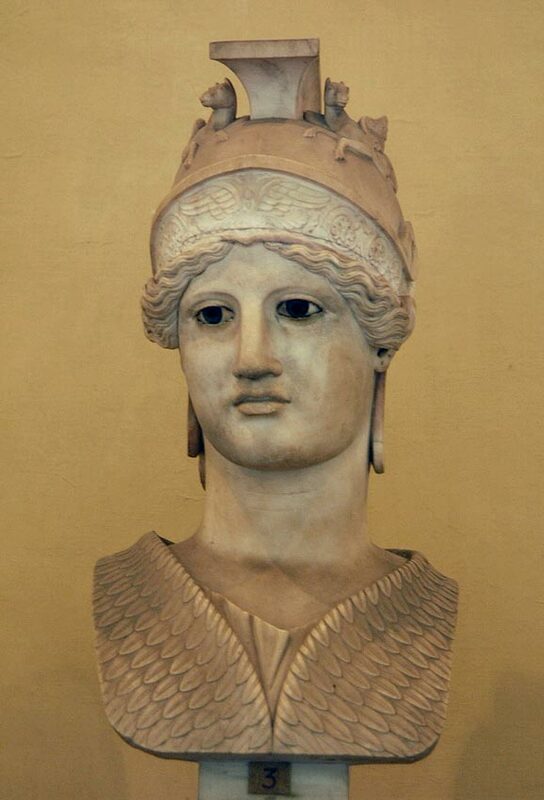 Roman copy of 117—138 CE after Athena Promachos by Phidias (5th century BCE). Colossal head of Athene, perhaps intended for a statue made of other material. The restored eyes re-create the vivacity of gaze characteristic of ancient works. © 1986 Text: Guide to the Vatican: Museums and City. Pontifical Monuments, Museums and Galleries. Tipografia Vaticana, p. 34.